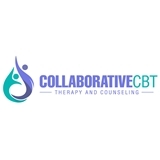 Collaborative CBT (New York) - Book Appointment Online! The mission at Collaborative CBT is to empower clients to make changes in their lives that lead to lasting change. The goal of treatment is for the client and therapist to work as a team to set goals, solve problems, learn skills, and develop more adaptive ways of handling troublesome situations. Our hope is to help you help yourself! Our work is catered to a teamwork approach so while the therapist is there to share insights and teach new skills, the client is an active member of the process as well. We recognize the strengths of our clients: you are the experts of your lives and you play an important role in therapy. Our goal is to help solve problems and teach you how to solve issues moving forward in a more effective way. Most importantly, you can be assured that our therapy is provided through a non-judgmental and inclusive lens. Jess is compassionate and practical. She is empathetic. It may seem as if you're talking to a friend, but you'll leave each appointment with practical guidance and suggestions to alter your own behavior and thoughts to help you accomplish your goals. CBT, in my experience, helps you take action to change behaviors and thought patterns. Jess has been and continues to be effective in helping me to achieve my goals. I'd already had many years of "talk" therapy when I reached Jess. I'd made a great deal of personal progress and was generally happy with where I was emotionally. There was one last issue I wanted to settle, and Jess has helped me accomplish my goal.